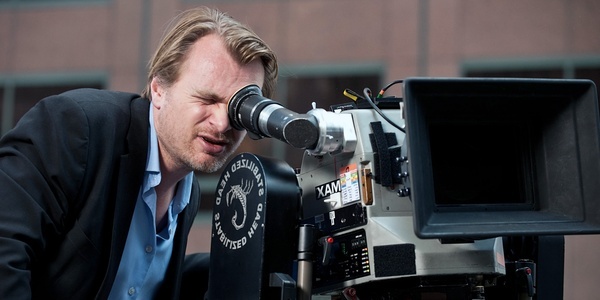 Christopher Nolan, the director of such films as “Inception,” “Interstellar,” and the newly-released “Dunkirk,” went on a rant against Netflix in an interview in Indiewire. His issue with the live streaming service stems from its aversion to putting feature motion pictures in theaters from a proper run before showing them on the small screen. Nolan is a filmmaker with some old-school sentiments. A motion picture should appear on a big screen and be a shared experience for hundreds of people at a time. He will not work with Netflix on any project because of its emphasis on digital distribution to television screens. The argument over TV vs big-screen theaters as venues for motion pictures has been around since the advent of the VCR and direct-to-video films. However, even when DVD players improved the picture quality, direct-to-video movies tended to be cheap to produce, of lower quality, and often sequels of better-known films that made it big in proper cinemas. Netflix has upended that model by pouring serious money into film productions, hiring A-list directors, and giving them a lot of creative freedom. Many of the movies Netflix develops as originals would have bowed at big-screen theaters a few years ago. The only types of films that Netflix has not touched yet are big-budget, special-effects-laden productions that really need a big screen to enjoy, just the sort of movies that Nolan likes to make. No counterparts of “Interstellar,” a science-fiction space adventure, or “Dunkirk,” an epic war movie, have been made by Netflix – yet. The financial model of the live streaming service does not support epic films with $100 million budgets. However, Christopher Nolan may be fighting a rear guard action where the battle pitting movie theaters against living room TV systems is concerned. Modern home theater systems, with big screens that fill up a wall, and sophisticated sound systems, are getting closer to approximating the movie-going experience. Too many movie buffs are becoming discontented with the hassle of going to the movies, finding a parking place, spending outrageous amounts of money on tickets and mediocre food, and putting up with unruly kids and uncouth adults inside the theater. For about the same experience, someone can rent a DVD or turn on Netflix, get some takeout, and settle down on the couch in comfort in front of the big-screen TV. Traditionalists like Nolan are going to have to find ways to make going out to the movies appealing enough to attract people if they want to preserve movie theaters.